The Personal Lines Achievement Award recognizes Swallow and Norby for their commitment to customer service and performance for PayneWest Insurance. Only a select group of employees at local independent insurance agencies across Washington, Oregon, Idaho, Montana and Alaska are given this honor by Safeco Insurance. “PayneWest Insurance is pleased that Safeco has honored Rob Swallow and Megan Norby with the Personal Lines Achievement Award for her exemplary representation of Safeco, passion for excellence, diligence and hard work,” said Scott Sherbourne, personal insurance sales director region one. Rob Swallow joined PayneWest 2009 as a personal insurance team leader. He in is from Frazier Park, California, and was raised in Mount Shasta, California. Sallow has been a personal insurance producer since 2008. He started his career in Countrywide Insurance and has excelled at Western States and PayneWest Insurance for many years. Swallow enjoys spending time with friends and family, watching soccer and enjoying the Rogue Valley outdoors. He also has a passion for his community and volunteers with Rogue Valley Youth for Christ on a weekly basis. Megan Norby has been with PayneWest Insurance since 2014 as a personal insurance account specialist. 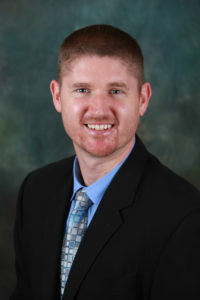 Norby is originally from Grants Pass, Oregon and graduated with honors from Oregon State University with a degree in business marketing in 2012. She grew up in a family of insurance agents and was introduced to the insurance industry early in life. She joined PayneWest Insurance with a vision to help her clients find relevant solutions for their insurance needs. Megan has a positive, consultative approach to finding the best solutions for her clients’ needs. She gives the consistency and excellence of service needed to establish long-term business relationships. In addition to helping to take care of her clients, Norby also enjoys being involved in the community through local events, volunteering with the Soroptomists, and in her local church. She thoroughly enjoys the beauty Southern Oregon has to offer and has fun hiking, biking, dancing, and going on adventures to explore the great outdoors. PayneWest Insurance has over 600 colleagues in Montana, Idaho, Washington, and Oregon. Find all of us at PayneWest.com/Directory. You can contact Rob Swallow at (541) 282-1411 or by email at rswallow@paynewest.com and Megan Norby at (541) 282-1410 or by email at mnorby@paynewest.com.